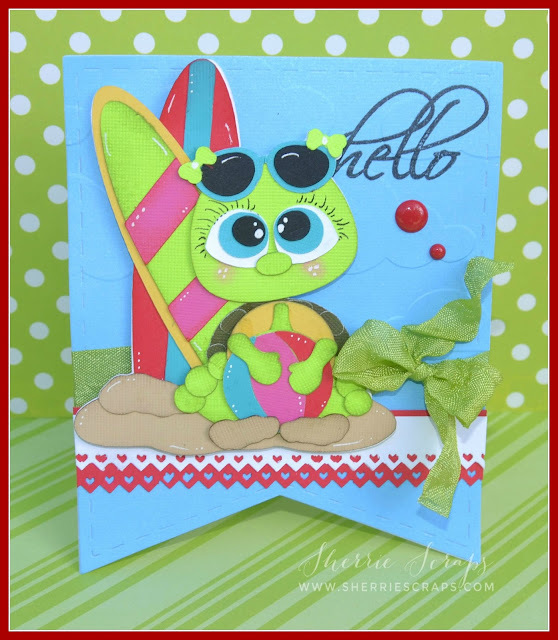 Welcome to Sherrie Scrap with Passion! I can't believe how fast the week is cruising right along. It is warming up a bit finally after a few really cool days. Crazy weather! Well, we all know school is about to begin. Some have started, others like us, probably after Labor Day?! Anyway, I thought it would be fun to play in some challenges and make a few treats for a request I had. They were really quick to put together~great for mass producing! 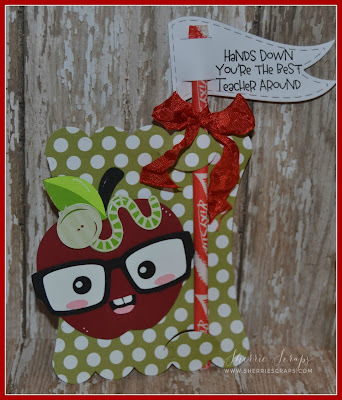 I have a fun little back to school treat to share today using Jaded Blossom's Teacher Appreciation stamp set. I started with the Scallop Slider and Topper Die for the base of my treat. The pattern papers are from Simple Stories. 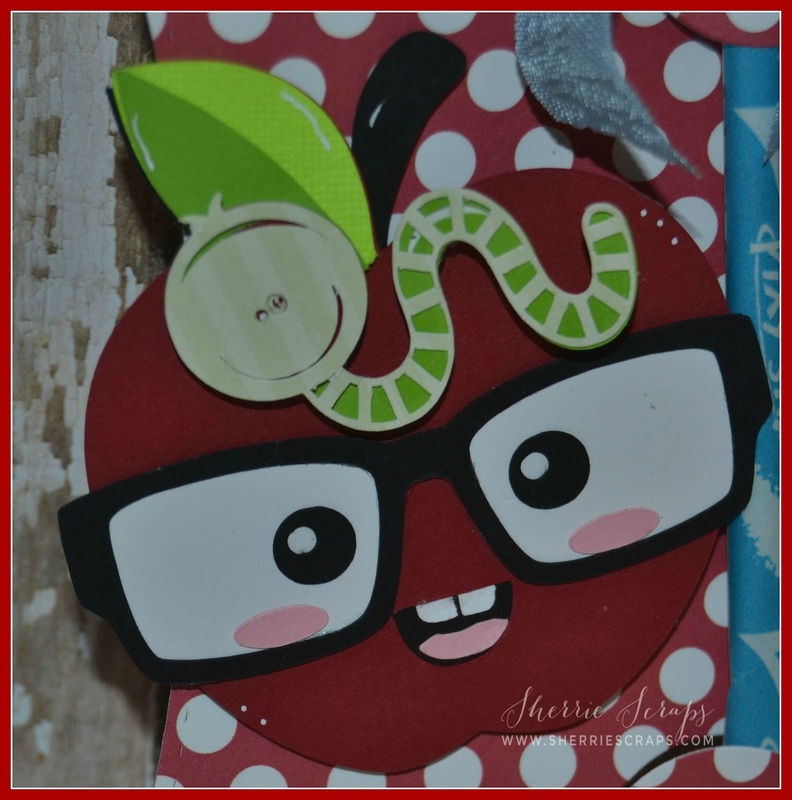 The nerdy apple file is from Pretty Paper, Pretty Ribbon called~Nerdy Apple. Cute ha? I popped it up with foam adhesives for dimension. I then added a darling little caterpillar from the Silhouette Store. The banner is the Treat Flags Die and stamped with a sentiment from the Teacher Appreciation stamp set. I finished with a crinkle ribbon bows using 3 Girl JAM crinkle ribbon. I hope you are all well~I can't believe it is almost September! Ofta, where did the summer go? It has been really cool here this week~only in the low 60's. Big change from what it has been but temps are heading back into the high 80's by the weekend, yay! I am happy to hear that as we have 3 weddings to attend this weekend~it has been a busy summer of weddings for us and we're still not done! 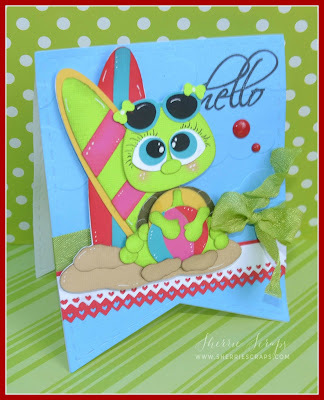 I have a quick card to share with you today using some fun goodies from Craftin Desert Diva and a darling cut file from Kadoodle Bug Designs. My card base and base layer is created using Craftin Desert Diva's~Banner Dies. The base layer is embossed with Carta Bella's Cloud folder. I created a fun little border along the bottom with a SU punch. The darling image is Kadoodle Bug Designs~Cutie KaToodles Beachy Turtles cut file. Isn't it cute? The sentiment is stamped with Craftin Desert Diva's~Say it Big stamp set. I finished with a bow using 3 Girl JAM~Witches Brew crinkle ribbon and fun enamel dots in my stash. It sure has been hot the past few days here....in the high 80's with high humidity! I don't mind the heat, it's just the humidity that just makes it miserable to do anything outside :( Looking forward to cooler temps next week! 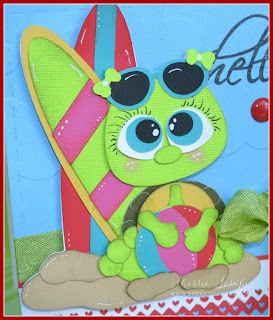 I have a fun birthday card today using a darling cut file from Kadoodle Bug Designs. The card base and base layer are Spellbinders Grand Scalloped Rectangles. The next layer is cut to size mat using pattern paper from MME~Happy Day followed by a solid orange panel. 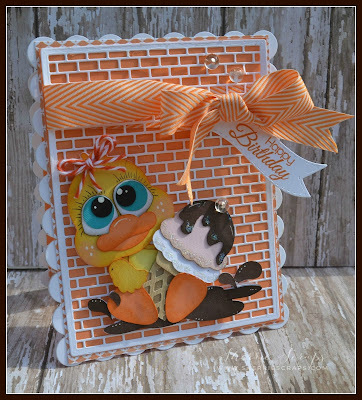 I then layered a fun background, using the Die Versions Whispers-Brick Background die. Cute, ha? 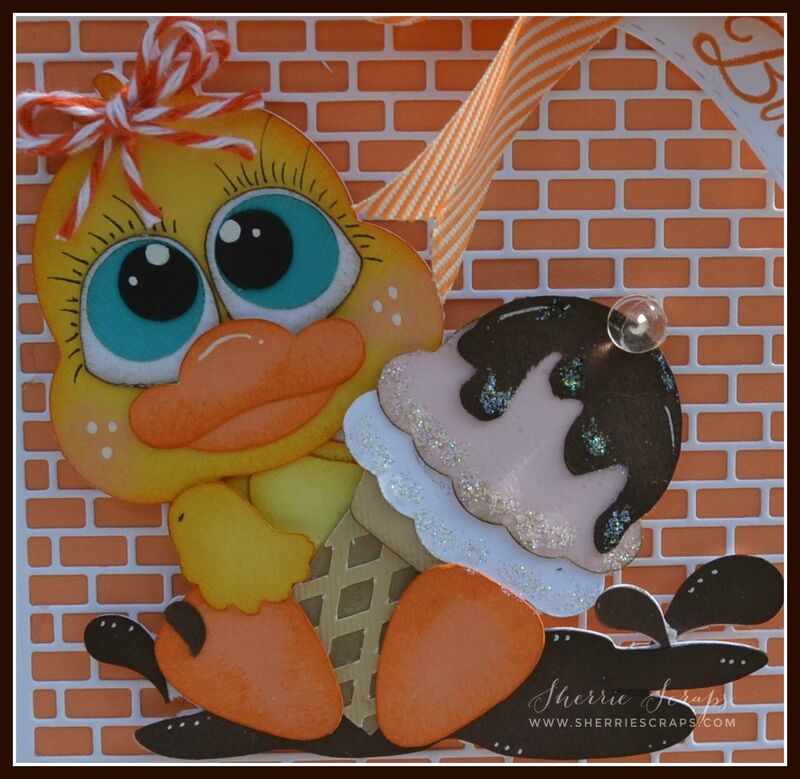 The sweet ducky is the Cutie KaToodles~Ice Cream Ducky. 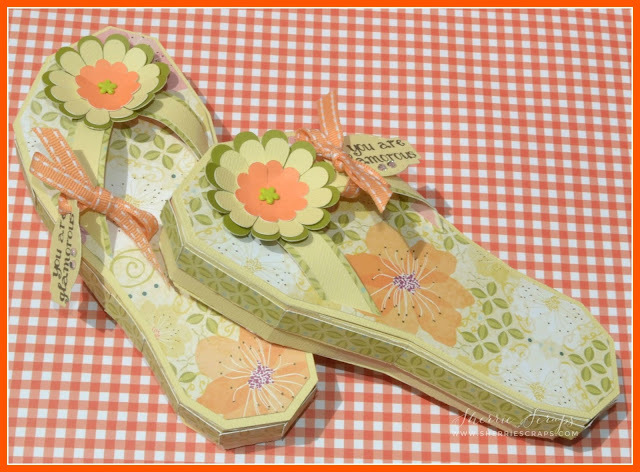 After piecing together, I added a little doodling, glitter and a Mandarin twine bow and adhered her in place. 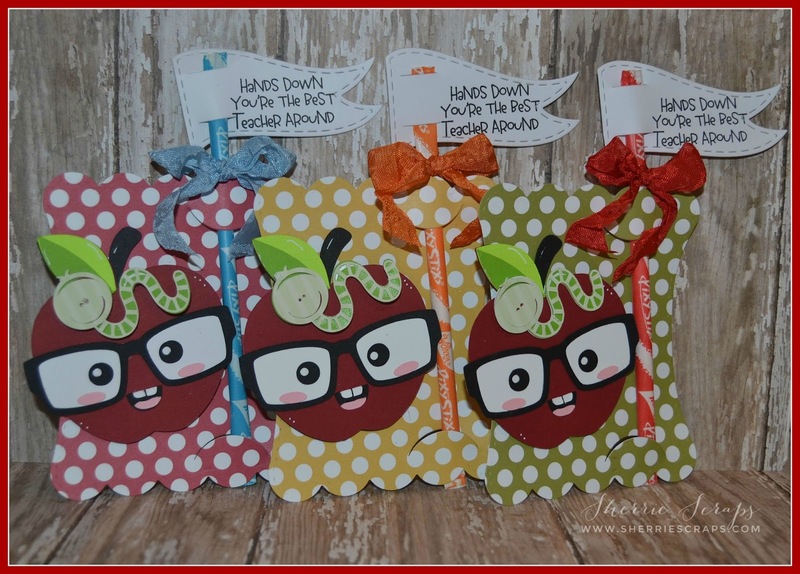 I finished with a cute bow using ribbon from Pretty Pink Posh and the tag is created with Jaded Blossoms Mini Tags Die 2. The sentiment is stamped with Jaded Blossoms Simple Sayings stamp set. The yummy skittles are from Carri over at DoubleClick~Stop over and visit her, she has several fun colors, perfect for your projects! It has been a little crazy in my neck of the woods lately. Summer can just get that way sometimes I guess~We have a busy, busy month of August to but things are looking to slow down a bit real soon~I have been trying to get in my craft room as much as I can but things keep coming up, Ugh! Are you having a busy summer to? 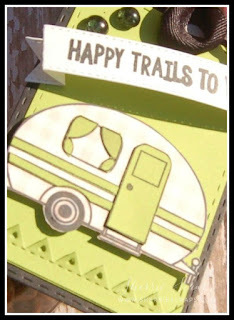 Did you know over at the PDE Linky Party we have a "Camping Theme" going on right now? 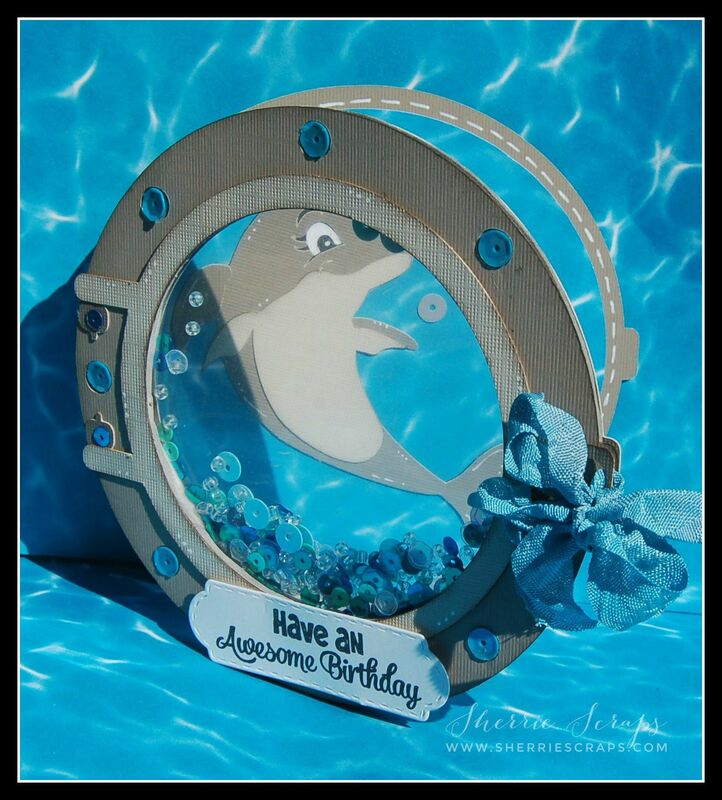 We would love for you to link up your projects~there is still a little time yet....Come check it out HERE. 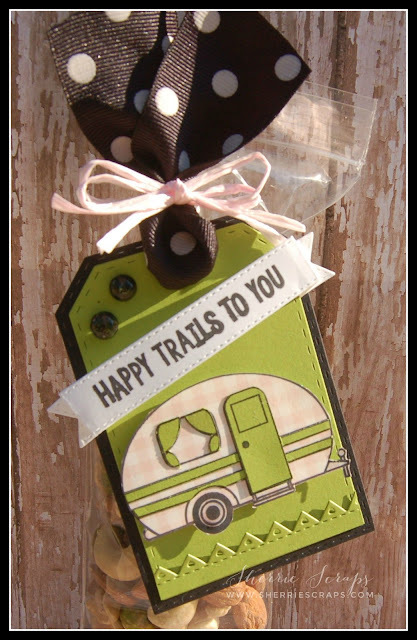 I created this fun little tag using Jaded Blossoms~Luggage Tag Dies to be tied onto this snack trail mix. The adorable camper is stamped onto pattern paper with Jaded Blossoms~The Great Outdoors stamp set. I then paper pieced the curtains and door for a fun look. I added a fun border along the bottom with My Creative Time's Fun Stitched Edges die set. The sentiment is stamped with Jaded Blossoms~The Great Outdoors onto a banner using My Creative Time's~Trio Stitched Banners. It is hard to believe it is August already, ha? We have a busy month filled with 6 weddings and also the baptism for my 2 little Granddaughters coming up......the month will fly by for sure! These babies are keeping me busy and truly enjoying all the snuggle time I am getting in. I am a bit behind on commenting, blogging and crafting but hoping things will settle down soon and I will be back at it. 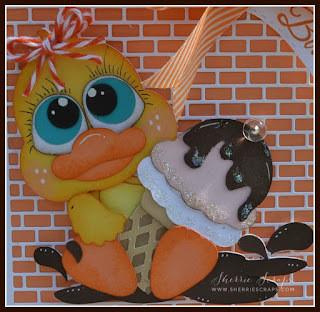 I did get in my craft room today while little Lacy was sleeping to create a cute birthday card using a fun stamp set from Pretty Cute Stamps. 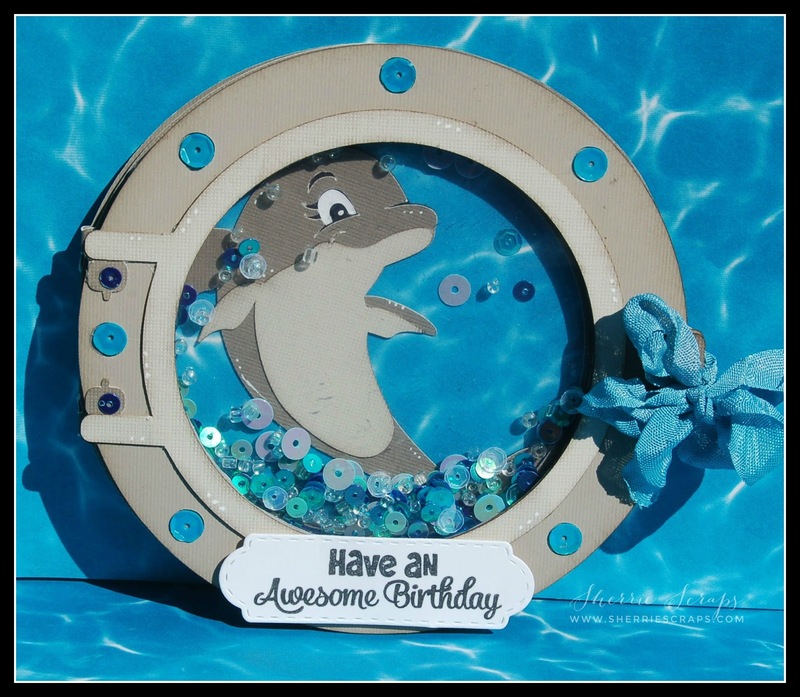 There are some fun challenge going on and I wanted to try and join in a few of them :) Arya was in need of a card for a birthday pool party she is invited to this weekend~so it's perfect! 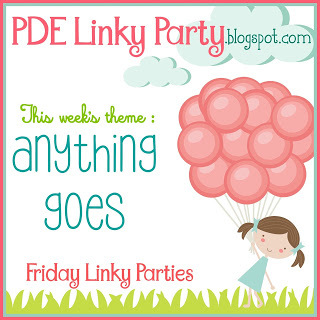 We also have the PDE Linky Party~"Anything Goes" challenge going on. Would love for you to come link up HERE. I picked up this Porthole Card and sweet dolphin using the Sea Life cutting file from Pretty Paper Pretty Ribbon. 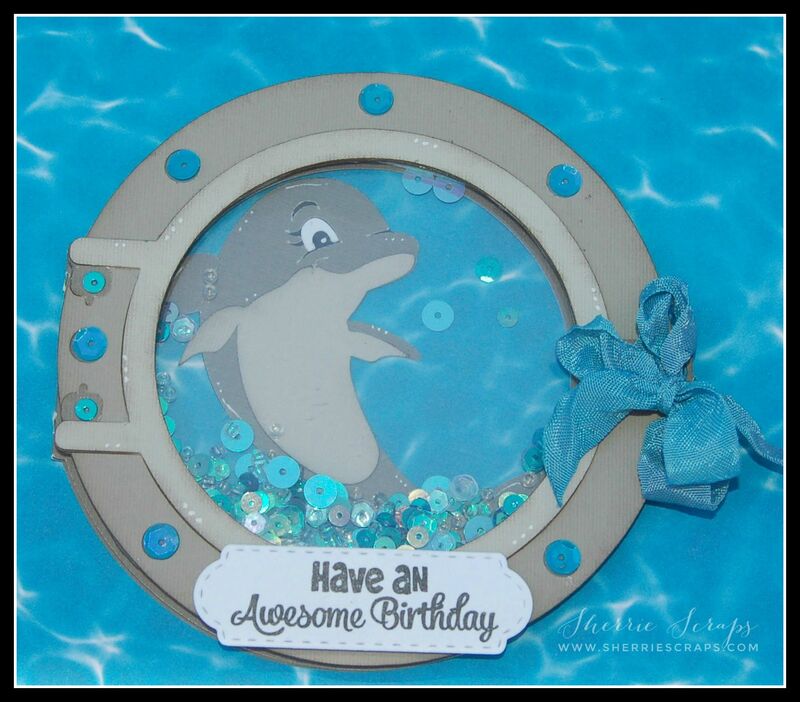 The papers are all scraps with the exception of the background pattern paper~that is from Paper Pizazz~Pool Water. 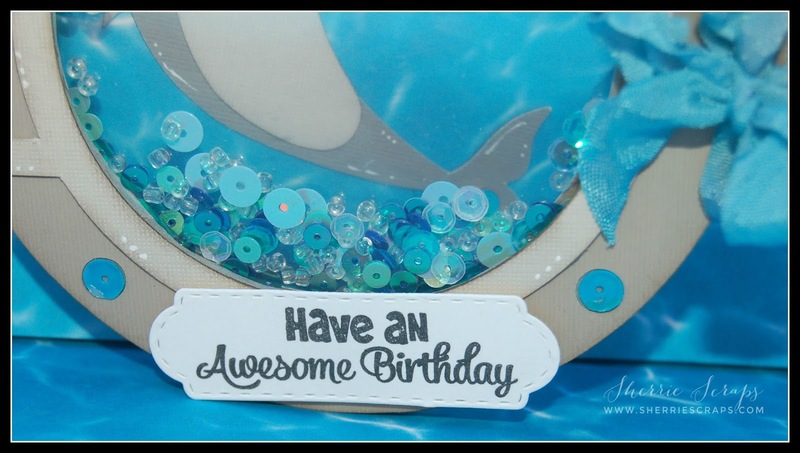 I thought it would be fun to turn this into a shaker card so I added some yummy Mermaid Lagoon sequins that I picked up from Craftin Desert Diva's. Wow, Tara has so many fun colors at her store~super fun if you like doing shakers, check it out HERE. 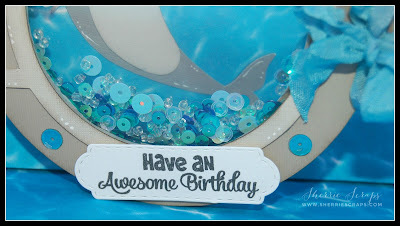 I finished with a cute sentiment from Pretty Cute Stamps called Otterly Amazing which is stamped onto a tag using Jaded Blossoms Mini Tags Die 2 The pretty bow is created with 3 Girl JAM ice blue crinkle ribbon.